AIOps is the use of big data, modern machine learning and other advanced analytics technologies to directly, and indirectly, enhance IT operations functions with proactive, personal and dynamic insight. AIOps is the hot new buzzword that encapsulates the hopes and fears of all the years of supposed underperformance in IT to deliver a better solution to companies. There’s a lot of understandable scepticism when invoking “AI” in any definition today, with many asking what exactly the point of AIOps is. Well, in a word? Experience. To get technical, AIOps is the use of big data, modern machine learning and other advanced analytics technologies to directly, and indirectly, enhance IT operations (monitoring, automation and service desk) functions with proactive, personal and dynamic insight. In short, AIOps attempts to unify insights from multiple big data monitoring streams. The monolithic era of IT, where network, server, and application monitoring stacks were controlled by a “Manager of Managers” that could tie those domain data sets, is long since passed. Application disaggregation, the evolution to virtualised and containerised infrastructure, overlay and underlay networks, the ubiquity of cloud and SaaS-based service components communicating over the Internet in nearly every application, network and infrastructure means that correlation is devilishly difficult, yet still critically important. That’s where AIOps comes in: using advanced analytics to consume various streams of monitoring data and do the correlation that humans can’t do via swivel-chair analysis. AIOps brings Big Data capacities to handle massive streams of data and either store or manipulate multi-dimensional data sets in real time. It then adds advanced analytics/Machine Learning (ML)/AI to the mix to improve on correlation. These technologies are powerful and bring real promise. But power and promise doesn’t come for free; ML requires learning, so who is the trainer? The answer is that you or someone on your team will need to be, and it may take many months to teach ML for it to become something truly beneficial. Everyone in IT operations knows about tool bloat. Countless studies have been done about the effects of piling on too many monitoring and analytics tools. Essentially, more tools add up to less effectiveness and poorer outcomes. But why is this so common? There is usually a reasonably distinct data set that each chosen tool can uniquely get at, which theoretically should enhance rather than reduce operational visibility and action. The problem is the lack of correlation of all these data streams means it’s hard to turn that insight into clear problem diagnoses and follow-on actions. This obsession came from being isolated from concern about the end-user experience (EUE) and instead adopting a defensive position around siloed measures of success and proof of innocence. But the fact of the matter is that IT Ops now lives in an experience-driven reality. Customer experience is of the utmost importance, and all digital experience is meant to be monetised through improved revenue or employee engagement and productivity. As digital transformation means more and more services run in the cloud, they are communicating over a vast array of networks, most of which are part of the Internet and aren’t under any direct IT control or vendor governance. Customers and employees access these apps via the same plethora of, mostly, external networks. 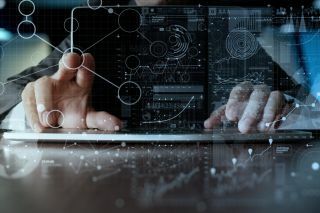 Application teams have been on the vanguard of looking at EUE, and this has driven the adoption of Application Performance Monitoring (APM) tools. Yet many IT Ops teams are still adapting to this new reality. Perhaps most infamously, network teams have struggled to make the transition to focusing on user experience. Gaining visibility into these new domains is challenging, but cloud adoption and the digitisation of customer experience are mainstreaming. Digital experience visibility is suffering from cloud migration, since monitoring vantage points are making the jump too. Sound digital experience monitoring (DEM) requires the right vantage points so you can understand how DNS, CDN, hosting and third-party API provider components are performing. Vantage points need to be representative of your customers, bearing in mind geographical scope (experience will vary depending on where each customer connects from), different ISPs (not everyone will be connecting to tier 1 ISPs), and where your monitoring vantage points are (moving these exclusively to the public cloud will result in significant loss of visibility). Enterprise networks, in particular are struggling, as all of these aspects are more complicated to manage than fleets of servers. In fact, at the recent Gartner IOCS conference, an “informal” audience poll showed that the enterprise IT teams present were not ready to progress much past where they’ve been for the past several years. That said, there is a strong movement towards NetDevOps, where automation takes a much more significant role. And SD-WANs are bringing centralised orchestration into network topologies. But siloed, red-light/green-light management, plus highly manual network troubleshooting analysis is still exceedingly common today. And too little of it is connected to the app and user experience. Great digital experience monitoring goes beyond just getting end-to-end application layer metrics from the right vantage points. If something goes wrong, the operations team needs to know why. Depth of visibility matters. Without the right level of detail, Ops teams can get stuck pointing the finger in an endless search for answers. With this level of detail, your Ops team can gather compelling evidence of problem domain issues and escalate effectively internally or to external providers. Getting to “why” can make the difference between hours or days of service disruption or keeping your digital users and customers delighted. This is why the pivot to AIOps is more than just about embracing the latest buzzword. AIOps is a powerful technology, but not merely because of its usefulness in reducing tool bloat, or unifying monitoring insights. While it can’t, by itself, account for significant gaps in visibility data, it does represent a pivot to focusing on end user experience that enterprise IT teams need to be embracing.